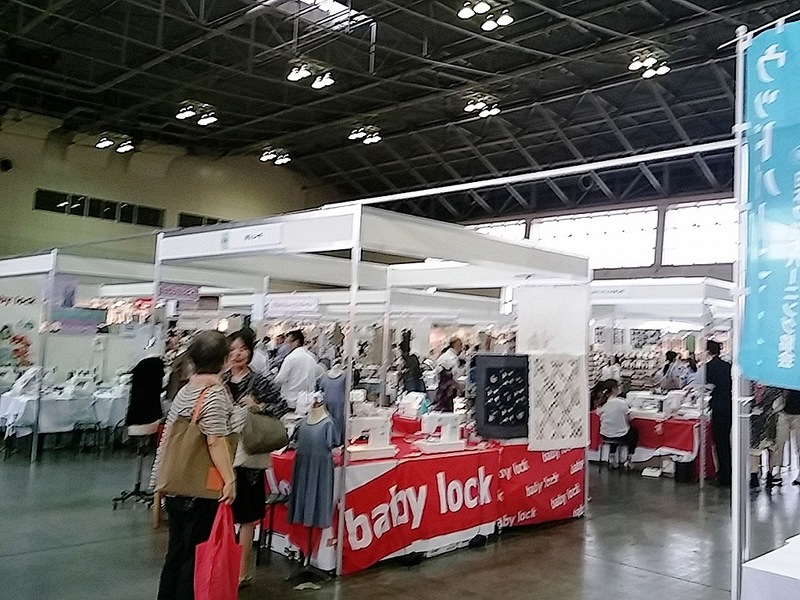 The Handcraft Fair in Nagoya 2014: No one would recognize it as a UNIQLO product! I was in Fukiage Hall last Friday with two of my friends. 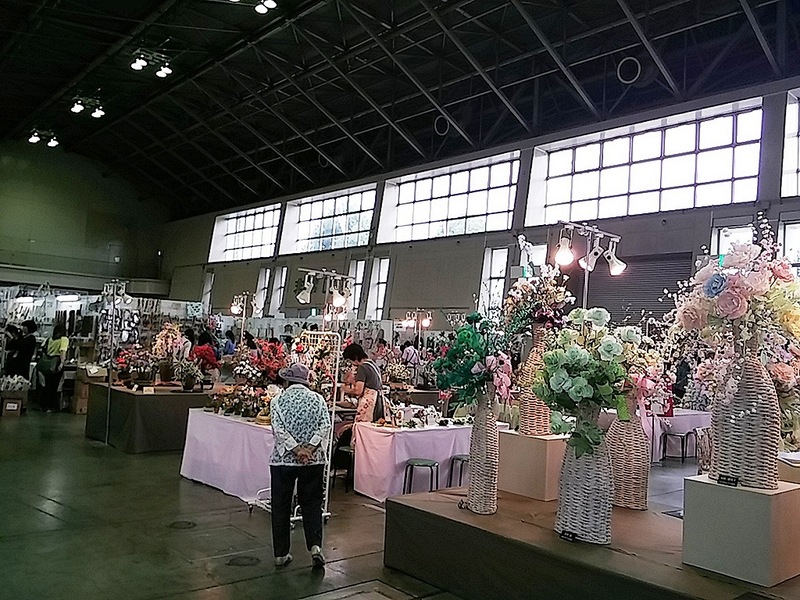 There was an annual event called “Handcraft Fair in Nagoya.” I attend the event every year. (The previous articles about the event: 2012, 2011, 2010, 2009, 2008) My main purpose is to buy bags from a bag designer called Yukako. She makes bags from used clothes. I like her taste. The two bags in the photo were the ones I bought this year. They are lovely, aren’t they? That morning, I had an English class, and my friends had a Chinese medicine class. We met at a restaurant for lunch around 1p.m. All of us were tired and sleepy when we arrived at the place at about 3. We bought some coffee and slumped on to chairs in front of the stage. We did not have stamina for walking around. Then, the talk show began. I was able to get many ideas for modifying clothing. After the show, we went to the bag designer’s booth. It was difficult to choose one from her works. Every bag was appealing. I bought a big tote for Tai Chi and drum practice. I often need to bring a pair of shoes and extra clothing for Tai Chi and drum sticks and musical scores for playing the drums. The other one is for my usual outings. I met the bag maker with the one I had bought from her last year. She was very pleased to see it, as if she had met her child who was living far away from her. My friends each bought some automatic needle threaders made in Italy and wooden clogs. All of us were happy to get what we had wanted. Whenever I come to the event, I am surprised and impressed by many fancywork devotees. I have not made anything by myself for a long time, but the event gave me many hints about modifying this year. 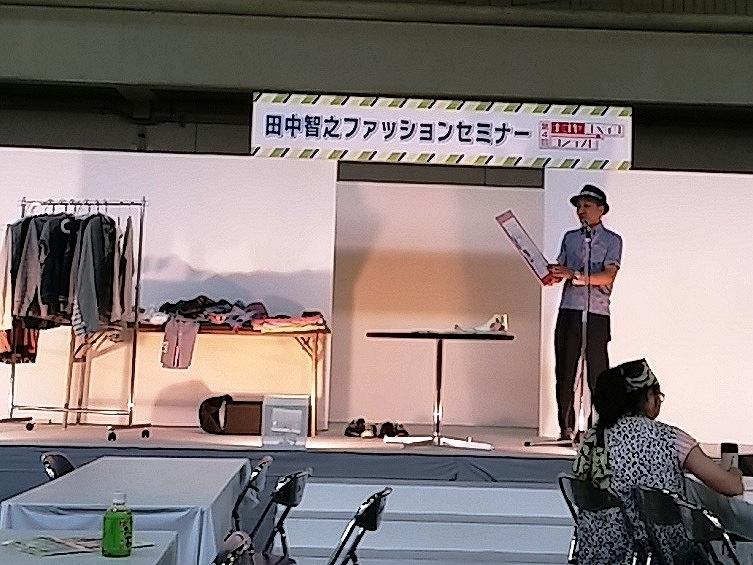 According to Mr. Tanaka, you can get many items for modifying at 100 yen shops or hobby stores. 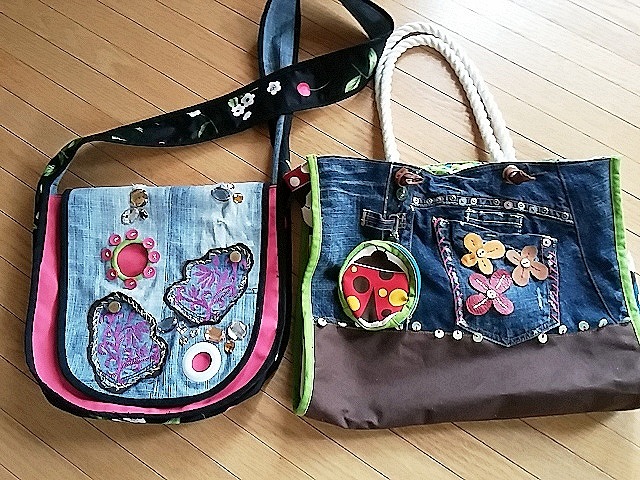 I cannot make a bag from old clothes like Yukako, but I might be able to decorate my old bags and to perk them up! The Relation of Misho-kan Orange and Chagall: Would you like some fruit? 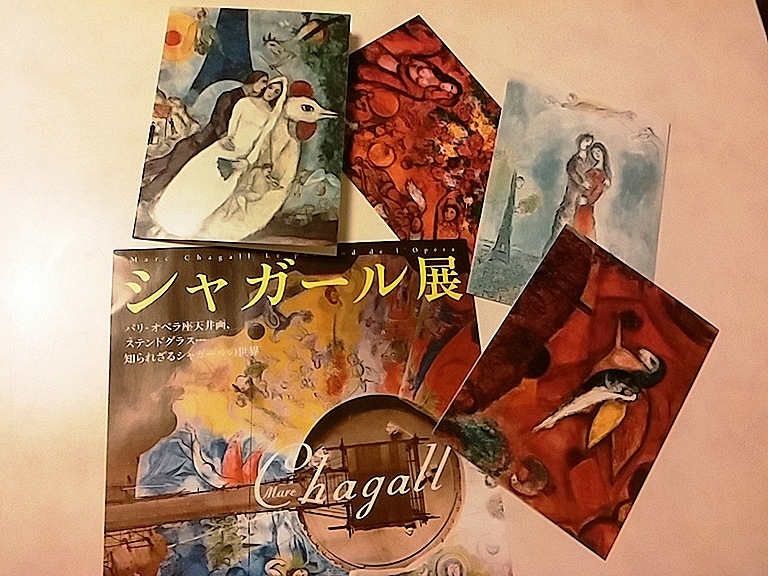 That day, I was going to visit Aichi Prefectural Museum of Art , in which an exhibition of Chagall was being held. June is the rainy season in Japan, but it was not raining when I went outside at that time. There were even some blue patches in the sky. So, I was walking feeling good to the nearest bus stop. All of a sudden, however, the sky became overcast and the next moment it began to rain. I retreated into a building nearby and took out a folding umbrella from my bag. But the rain gear was too small to walk in the downpour. I got soaked in no time when I started walking again. I need a much bigger umbrella! I decided to withdraw to my home. After getting home, the rain stopped and the blue canopy began expanding while I was changing drenched clothes. What was that rain?! I was discouraged to go out and decided to assume that God or my guardian angels had stopped me going out with the heavy rain for some reason. Opening the umbrella to dry at the bathroom, I heard someone rang the doorbell. When I opened the door, a young man was standing with lots of fruit. A fruit-vender came to my apartment. Mind you, it is not common that fruiterers come to your house in Japan. It seems that a fruit store near Nagoya Station send their recruits to town to sell their commodities as a kind of training. He had some melons, fruit-tomatoes, passion fruits, and citrus fruits called Misho-kan. 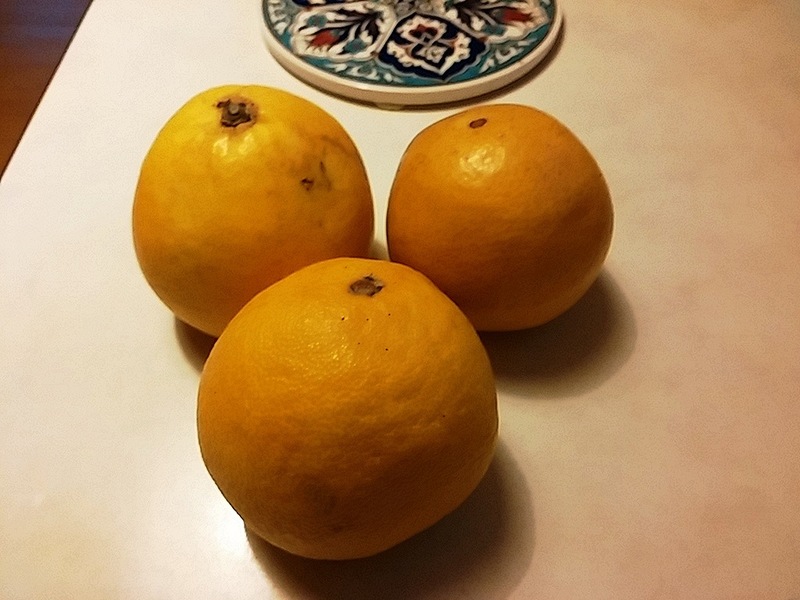 It was my first time to hear and look at Misho-kan oranges. “What a name!” I said because “Misho” means “born beautifully” or “beauty is born” in Chinese character. But the fruit’s name has nothing to do with the meaning. According to the fruit-vender, the oranges are produced only in a village named Misho in Ehime Prefecture. 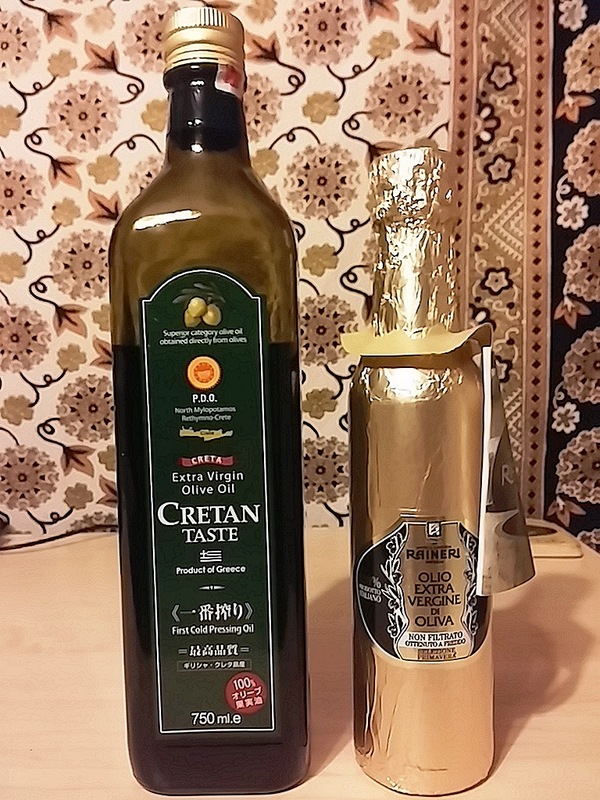 I bought some Misho-kan after all. 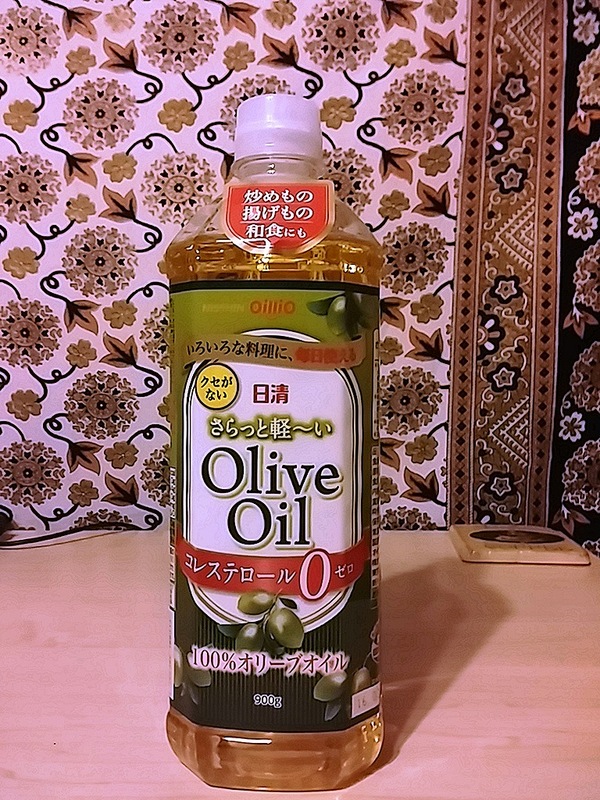 He said one cost 150 yen, but sold four for 500 yen. The fruit was sweet and incredibly juicy. Although I had to give up going to the art museum that day, I was able to have an interesting experience at home. As to the exhibition of Chagall, I managed to make time the next day and was able to go to see it. And I had a great time! I’ve had some opportunities to see Chagall’s paintings before, but this exhibition showed his other art works, such as, drafts of ceiling paintings, stained-glass, wall mosaics, sculptures and ceramics. I was able to see the big images on the ceiling of the Paris Opera House and the Metropolitan Opera House, stained-glass of churches, and other big works on the screen in the theater room of the exhibition, and was touched so much. Ah…I want to see the real things! Chagall’s 3D works, that is, his sculptures and potteries are humorous and have a relaxed air as if donkeys or goats in his paintings just came out from the 2D world and fell asleep. Ah…I want one! 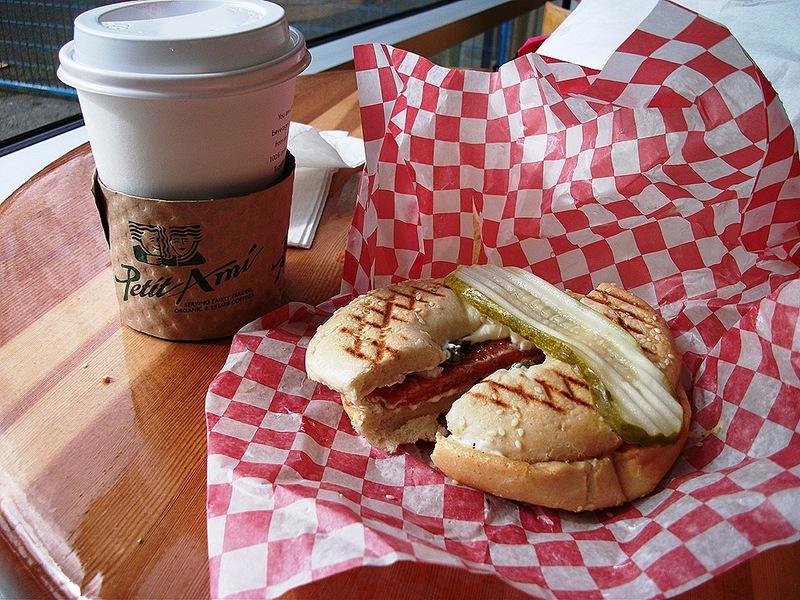 My Travel in Vancouver 6 (Day 3 Part 1) ~ Granville Island & Yaletown ~ Can I Put on a Pickle on the Sandwich? “Ah!” I was nodding in understanding when I saw the TV commercial on my third night in Vancouver. I was relaxing on the bed and watching TV in the hotel. I don’t remember what the commercial was, but it was set in the kitchen of a restaurant. Two chefs are looking seriously at a sandwich, when another chef appears with a slice of gherkin pickle and puts it on the sandwich. Then the three chefs nod with a satisfied look… As I was watching this, I recalled an event that had taken place that morning. “Can I put a pickle on the sandwich?” The clerk said that again dangling a slice of cucumber pickle in front of her face. 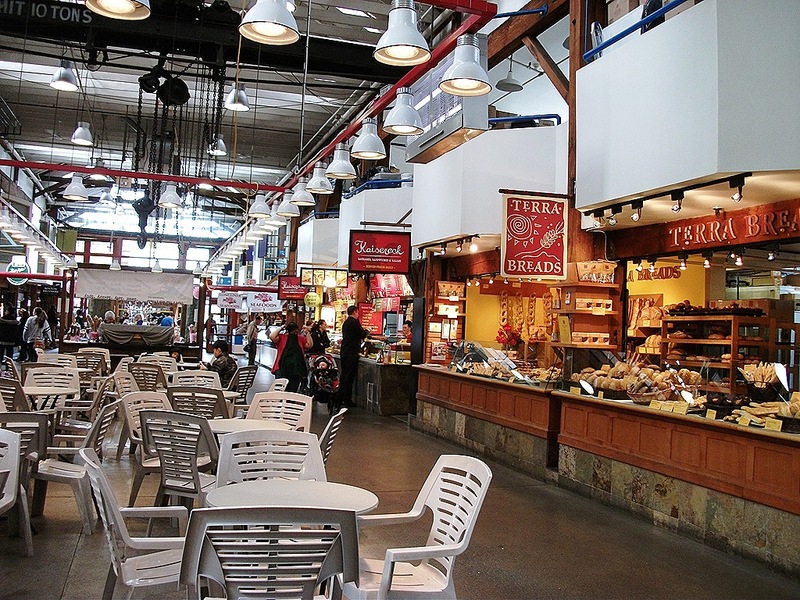 I was in the food court of Granville Island Public Market in the morning. 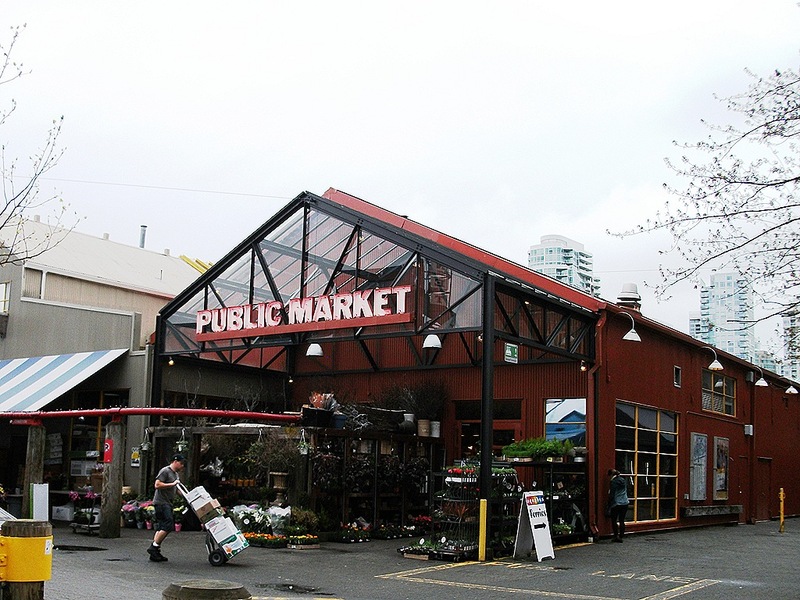 Granville Island has “island” in its name, but it is not an island. 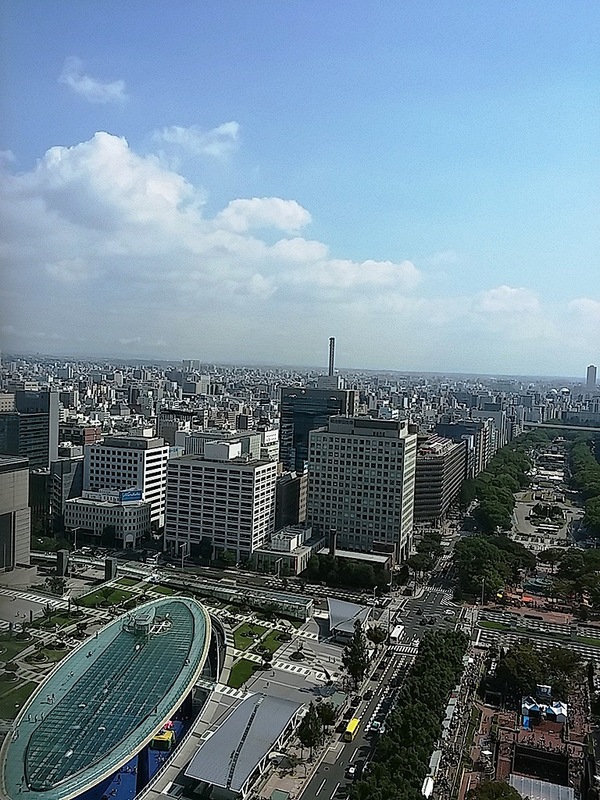 It is a peninsula and a shopping district. I came there to have brunch. While a lot of delicious-looking foods were beckoning me, a sign board caught my attention: Try Smoked Salmon & Cream Cheese on a Bagel! So, I decided to try it. A cheerful clerk was making my sandwich at a brisk pace, asking “onion okay?” and so on. Then came the above question. The reason why I did not understand her at first was because I had never seen pickles put “on” sandwiches. 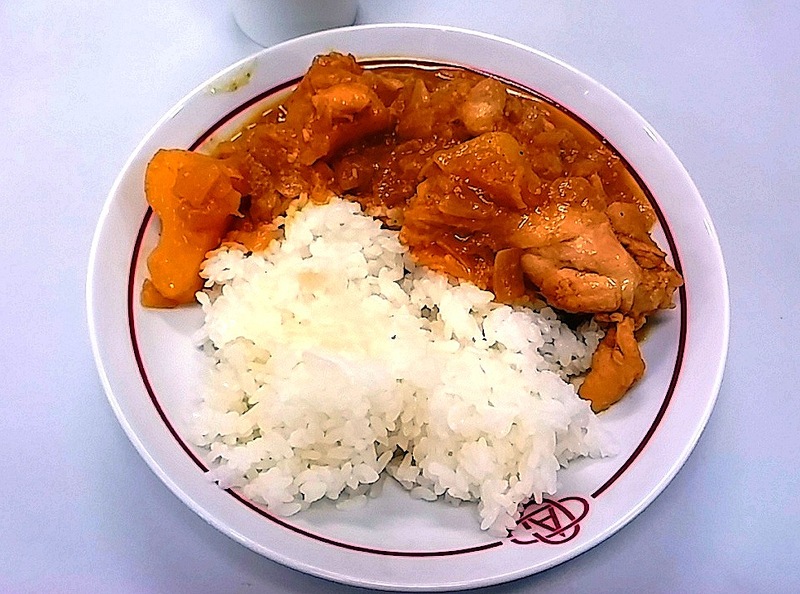 In Japan, pickles are put “inside” sandwiches or on the side of the plate, as far as I know. However, the men in the TV commercial also put a pickle “on” a sandwich as the finishing touch. Is that a Canadian or North American (or other countries also?) custom? I did not know that! Anyway the smoked salmon and cream cheese bagel sandwich with a pickle on it was very nice. After the meal, I explored the market. There were many fresh vegetables, fruits, fish, meat, cheese, etc. Even window-shopping was nice. 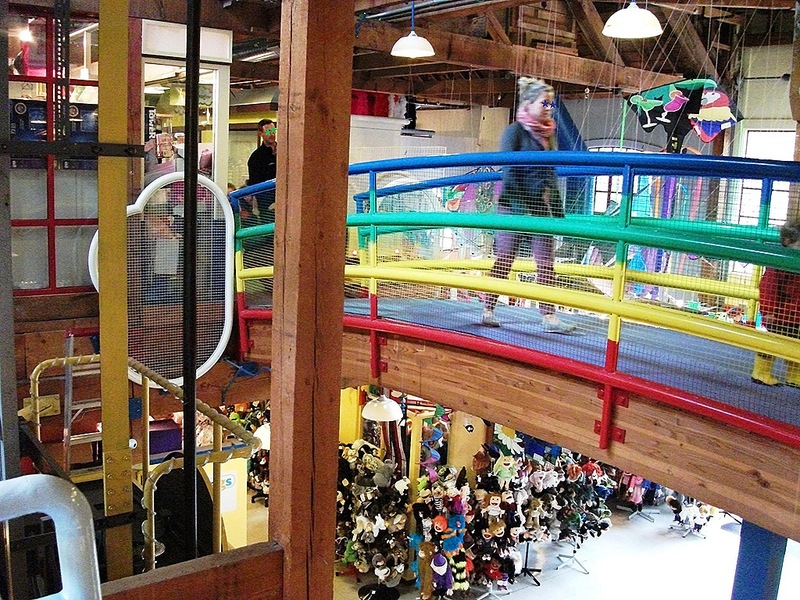 Actually, Granville Island has more than 50 shops and facilities including a brewery and a totem pole workshop. I was going to plod around the island, but it started raining while I was shopping in the Net Loft, and then the rain became harder and harder. I gave up walking around outside, and went to Kids’ Market to look for English teaching material for a friend of mine, who has many English classes for young children in Japan. There were many families even on the weekday morning in Kids’ Market. Children were running around squealing with joy. The inside of the building is a tiny town for them. There is even a bridge inside. I bought a CD with instructions for teachers or parents there, and went out. It was still raining hard. I was discouraged about spending time on the island and decided to go back downtown. Actually I did not go back downtown directly. I got off the bus in Yaletown, which is on the opposite shore of Granville Island. 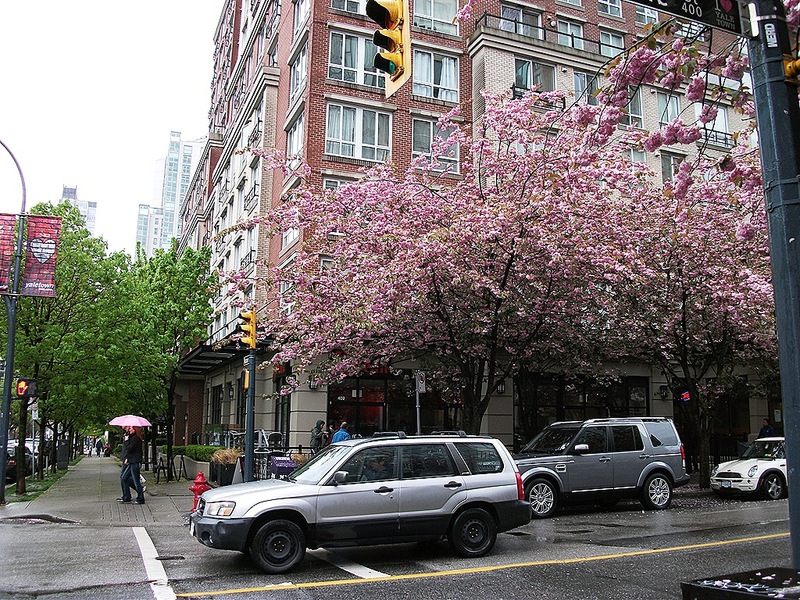 It is a trendy district of Vancouver with retro-looking red brick buildings. The old warehouses and railway sheds of the 19th century have been renovated and reborn as fashionable boutiques, cafes and restaurants. 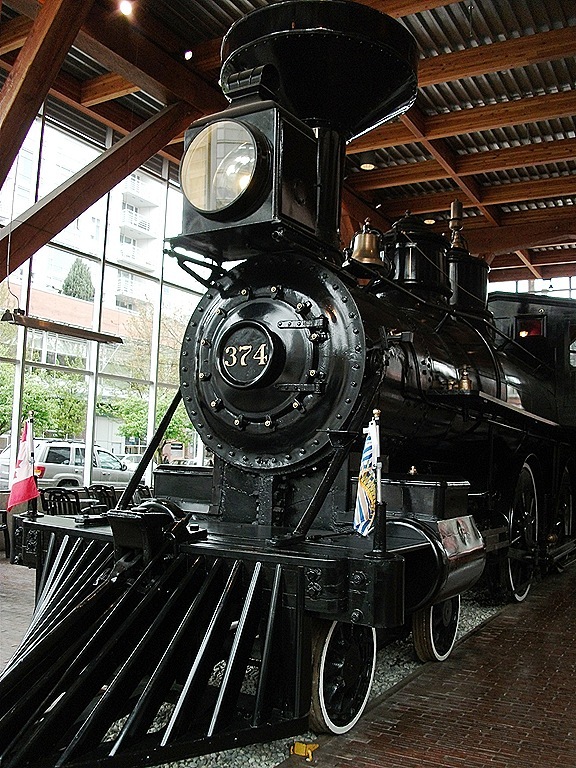 One of the buildings is now a community center and displays the locomotive engine, “Engine 374”, pulling the first transcontinental train in 1887. You can see its handsome black body for free. 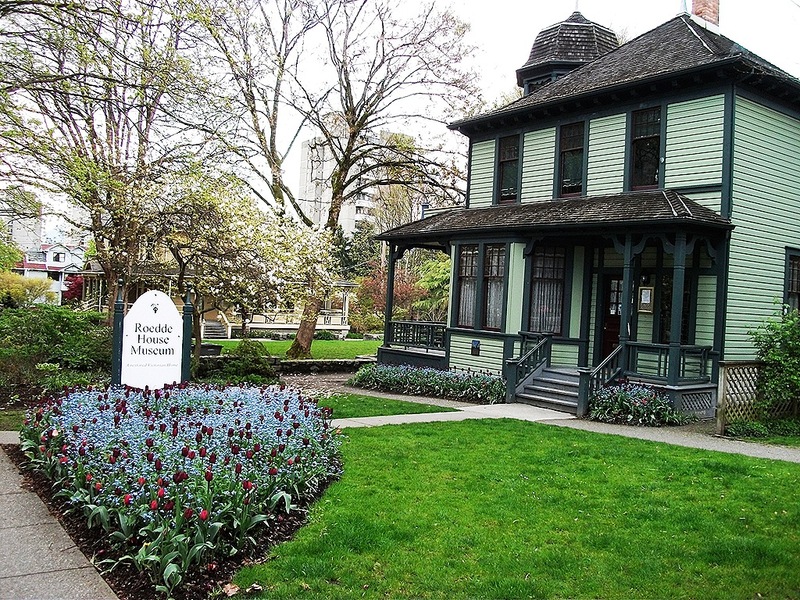 I noticed that it would be convenient to go to the Roedde House Museum from Yaletown when I was studying the Google map. You get on the bus going along Davie Street and get off at the fifth bus stop, and then walk for several minutes. It will take just 10 minutes. But the museum opens at 1 p.m. and it was still around 12:30 when I was in Yaletown. If I had used the bus, I would have had to wait nearly 20 minutes in front of the house. The Google map said that it would take 18 minutes by foot. Fortunately the rain was stopping. So, I decided to walk to the museum at a leisurely pace. 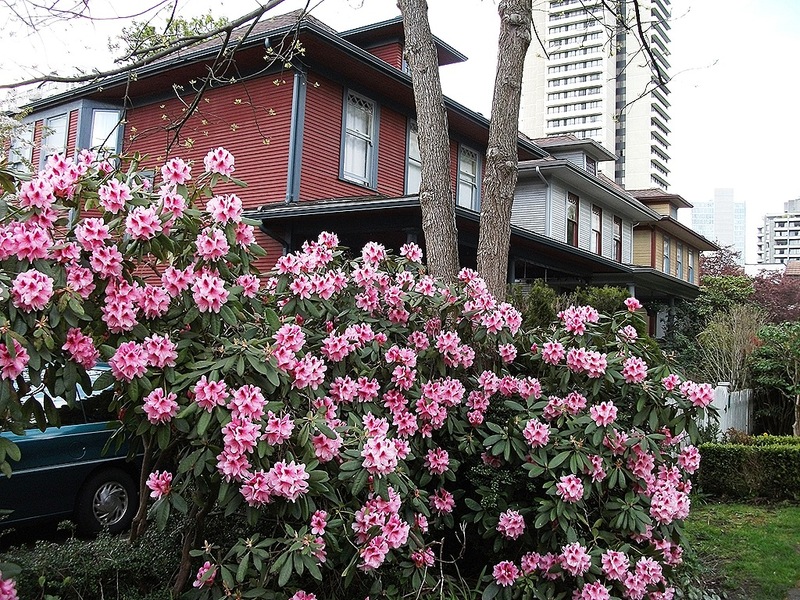 Multi-petalled cherry blossoms were in full bloom when I visited Vancouver. I saw many trees with the pink flowers here and there. I enjoyed taking a walk in the drizzle admiring the beautiful flowers of roadside trees and gardens of houses along the street. 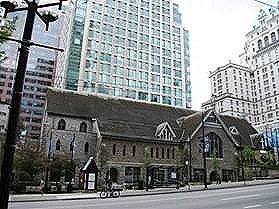 My Travel in Vancouver 5 (Day 2 Part 3) ~ The Bill Reid Gallery & Christ Church Cathedral ~ : You are the first person to buy! 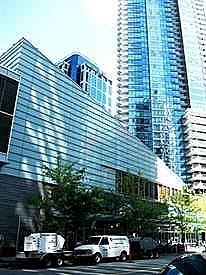 The Bill Reid Gallery is just a one minute from the Pendulum Gallery. 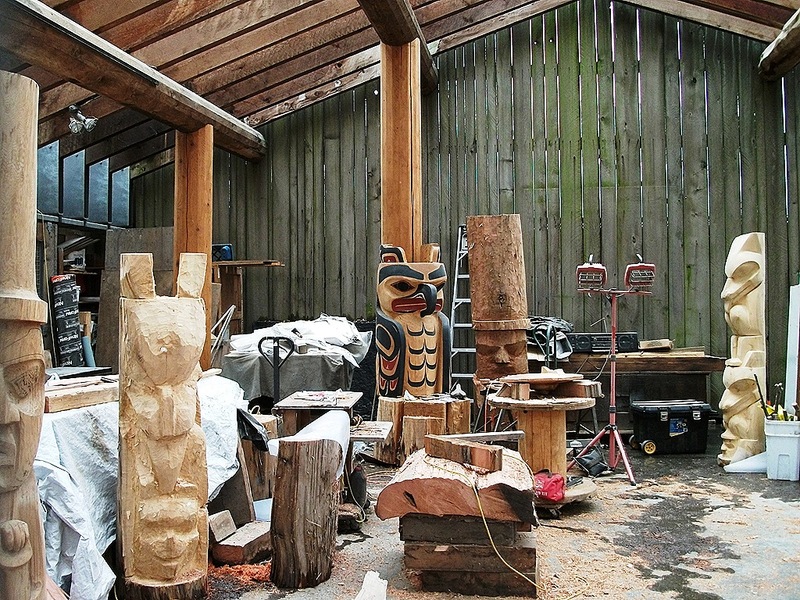 Bill Reid was a Canadian artist of Haida tribe origin. I looked at some of his art works at the Museum of Anthropology the previous day. So, I came to the gallery after the Pendulum. 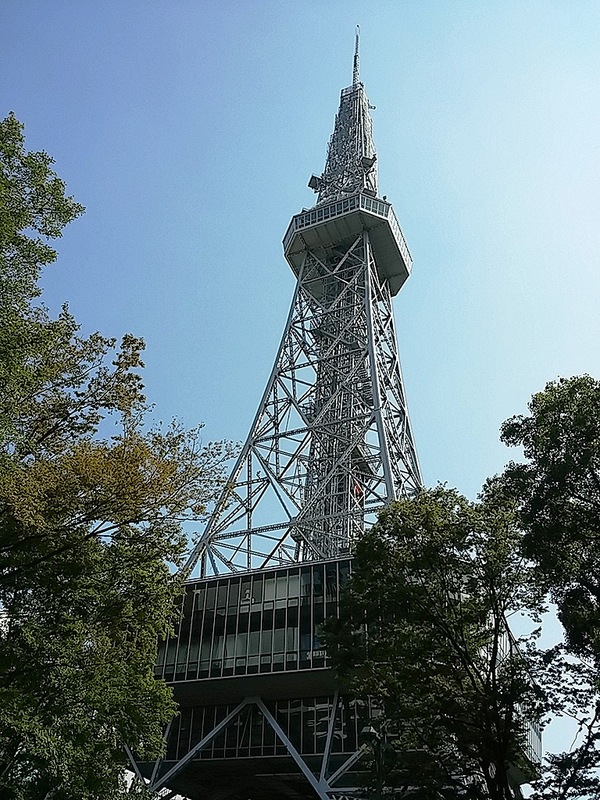 When the lady at the ticket office said, “You’re a student,” I denied it, “Oh, I’m not a student.” But she said something and unfortunately I could not understand exactly what she said with my English abilities… Or…should I say “fortunately”? There were many elaborate art works of Bill Reid in the gallery. I love First Nations’ designs. They look “naïve” at first glance, but they are artful and sophisticated. They have both boldness and sensitivity. I had a wonderful time there surrounded by my favorite art. A cathedral stands with stealth among modern glass-scrapers behind the Bill Reid Gallery: Christ Church Cathedral. 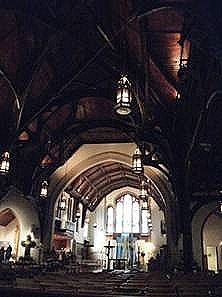 I visited the church after the Bill Reid Gallery. Opening the door, I was enveloped by heavy silence. I stepped into the world of the 19th century. 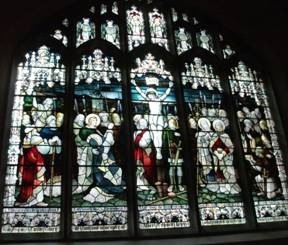 The light source was the faint sunlight through beautiful stained glass and flickering candle lights. Adjusting to the dim light, I found a cleric at the counter. “Excuse me.” I whispered because the place was really quiet. “Yes.” The holy man looked up at me from his book or something. “Oh, you don’t need to pay.” He looked a little surprised. “Sure. And you don’t need to pay for that, either. Take your time.” He said that with a big smile. A man was sitting on a bench with his eyes closed. I also sat on a bench and closed my eyes. The scent of delicate flowers hit my nostrils. I felt as if my tangled nerves were untwining slowly. After how long time I don’t know, I opened my eyes and scanned the place. The sitting man was still there. I started walking on tiptoe to look at the stained glass…The panels were wonderful! Leaving the cathedral, I dropped by Urban Fare, the grocery store, on the way to my hotel. A sales clerk caught my attention while I was shopping. “Why don’t you try some tea?” She said that and smiled at me. Suddenly I realized how tired I was. I had not drunk anything at all after brunch. I approached her and chose an herbal tea: Chocolate Spice. “Where are you from?” The clerk started a conversation. She said that she had come to the shop from Capilano, where I had been in the heavy rain that morning. We talked about Canada’s rich nature while I was sipping the tea. The paper cup was empty, and the chocolate-colored liquid was soon absorved into my cells. Then I felt revived. “This one,” I picked up a box of Chocolate Spice tea. “REALLY?” She was surprised and stared at me for a while. “Thank you! Enjoy your trip!” She looked really happy. “Thanks!” I got on the way back to my hotel in a cheerful and agreeable mood. 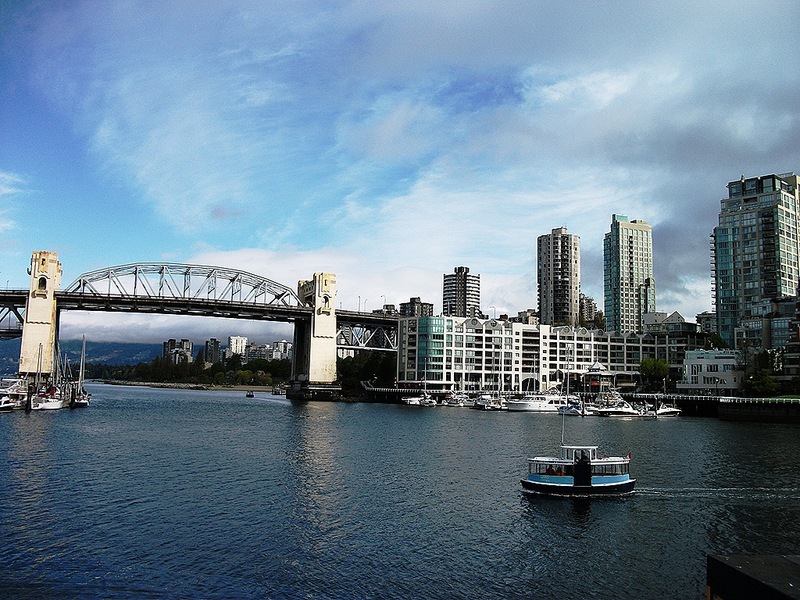 My Travel in Vancouver Part 1 is HERE. MY Travel in Vancouver Part 2 is HERE. 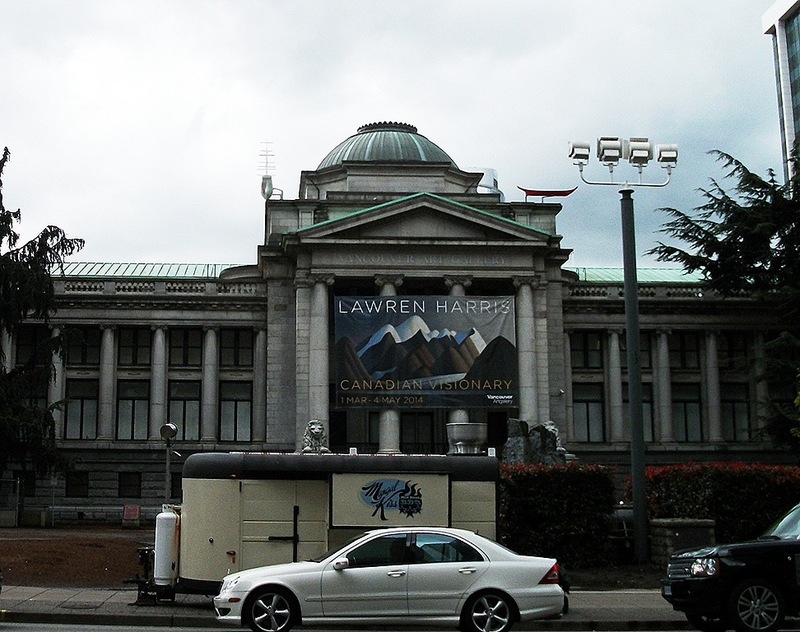 My Travel in Vancouver Part 3 is HERE. MY Travel in Vancouver Part 4 is HERE. 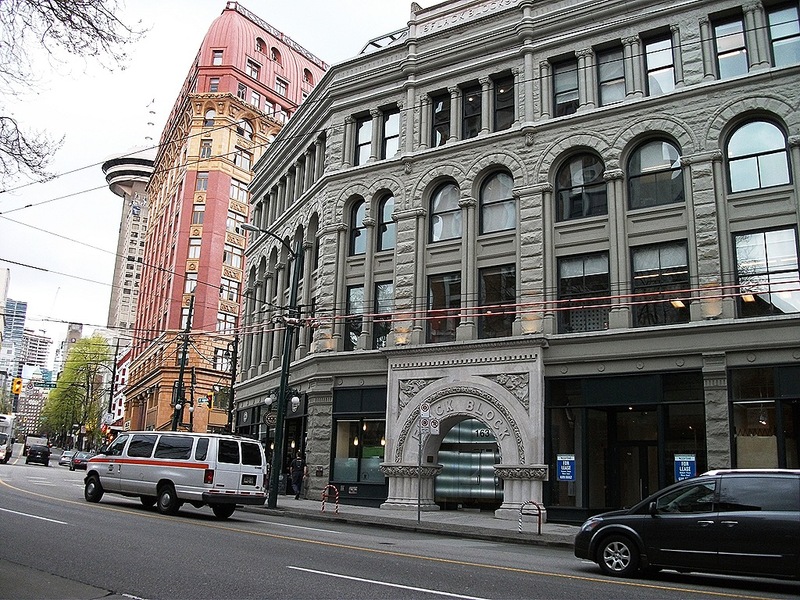 My Travel in Vancouver 4 (Day 2 Part 2) ~ Gastown and Two Galleries ~ : I’ve never seen this place that empty! “I’ve never seen this place that empty!” a friend of mine was surprised to see my photos of the town on facebook. 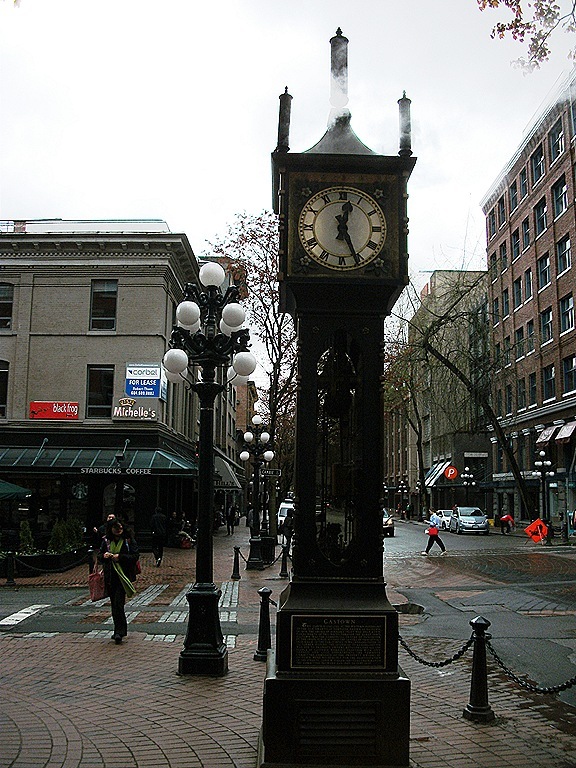 Gastown, the best tourist attraction in Vancouver, was amazingly deserted when I arrived. It was probably because of the terrible weather in the morning. It was too good to be true, but it had stopped raining completely when I set foot at the port on the opposite shore from North Vancouver. I was able to walk around the popular tourist area without an umbrella or being jostled in the crowds of people. 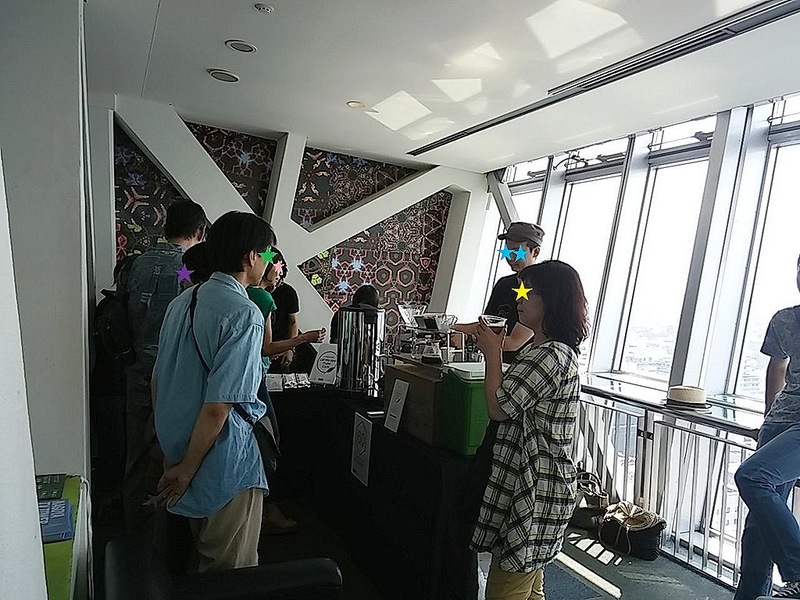 According to some guidebooks, it is difficult to take photos of the Steam Clock because of the crowd. The clock is the most popular item in the area. But, as you see, there was no one around the clock when I stood before it. 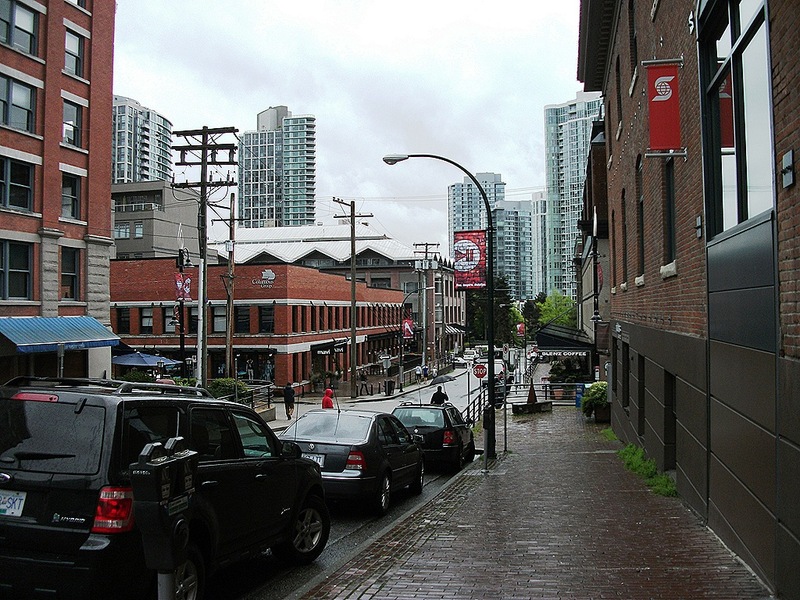 Gastown is a national historic site known as “Birthplace of Vancouver” and has a 19th century atmospheres with cobblestone streets still now. This place was named after “Gassy” Jack Deighton, who was a sailor from Yorkshire and opened the first bar in that area in 1867. 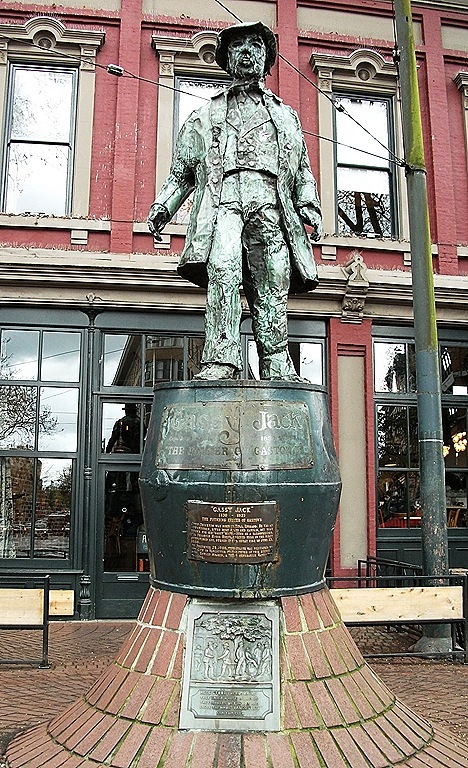 It is interesting that Vancouver started developing through a bar, which must have been the oasis for seamen. 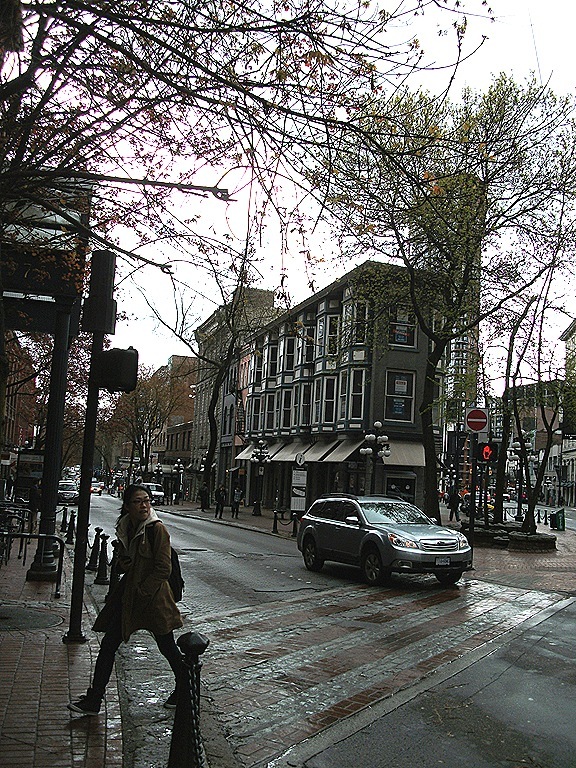 It used be one of the best places for business and entertainment, but Gastown fell into disrepair after the Great Depression in the 1930s and had been forgotten until the beginning of 1960 when local people started a movement for preserving the district as a historic site, and nowadays this area is a unique town mixing historical architectures and contemporary fashions. An old department store of Woodward’s was abandoned after being closed in the early 1990s. But the derelict building was reopened with new shops in 2010. 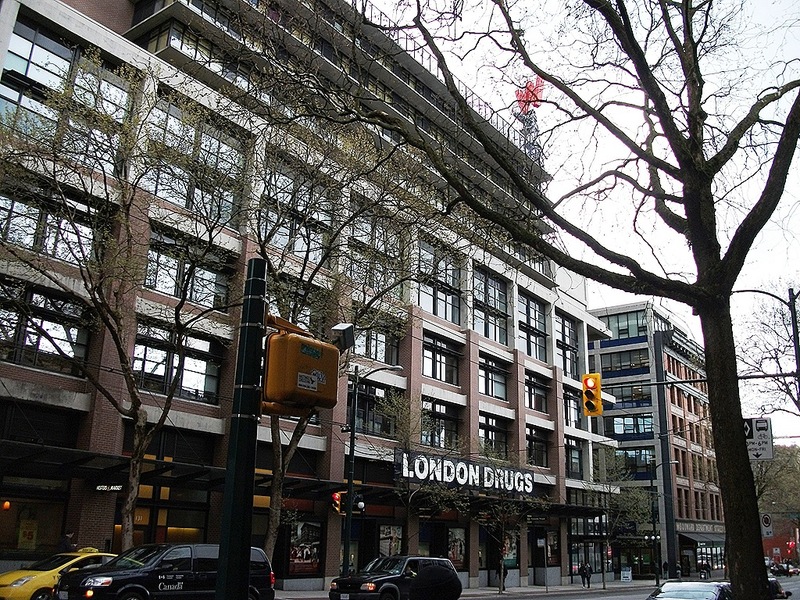 This redevelopment has triggered the rise of preserving other old buildings, such as Flack Block and Dominion Building. It is nice to see those aged architectures preserved among glass-walled skyscrapers. So, I paid $21 and entered the gallery. I enjoyed a relaxing time by looking at Lawren Harris’s half abstract landscape paintings and geometric abstractions, Emily Carr’s paintings of Canadian nature, Edward Burtynsky’s photos of Canadian nature and man-made landscapes, and Myfanwy Macleod’s powerful modern art. After spending a luxury time of art appreciation, I dropped into the gallery shop and almost lost my sense of time there. I like looking for something interesting in museum shops. I bought some parody cards of famous artists and paintings there for my friends. Then I walked to the Pendulum Gallery, which is just across from the VAG. The gallery is on the first floor of the HSBC building. Just as the name suggests, it has a pendulum. A very big pendulum. 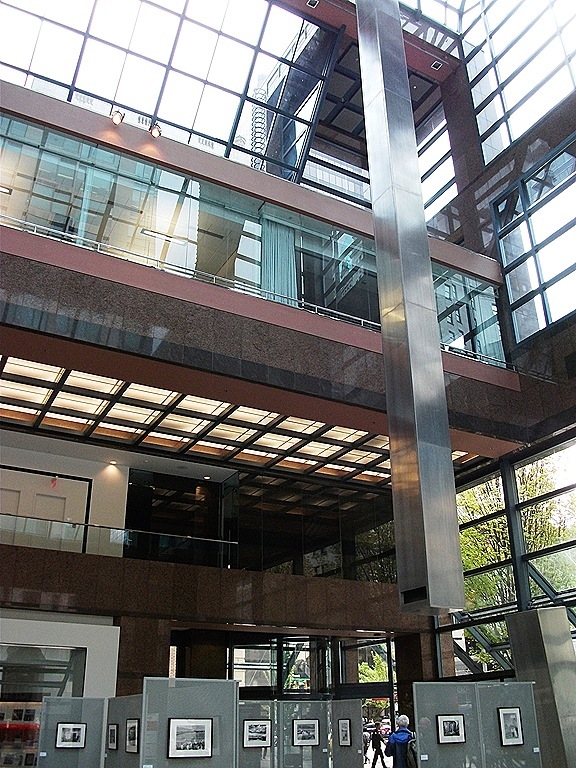 It swings slowly and regularly above exhibited objects in the atrium. 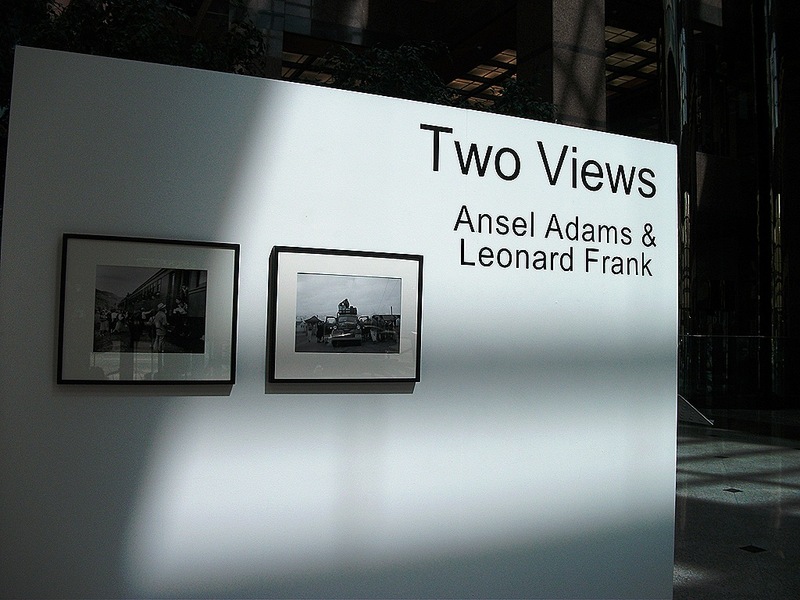 It was a photo exhibition of Ansel Adams and Leonard Frank when I visited the gallery. Both of them are representatives of photographers in 1940s. 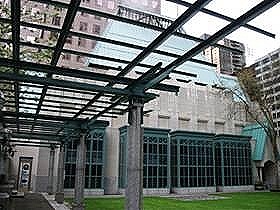 The exhibition named Two Views showed lives of Japanese Americans and Japanese Canadians in internment camps during World War II. 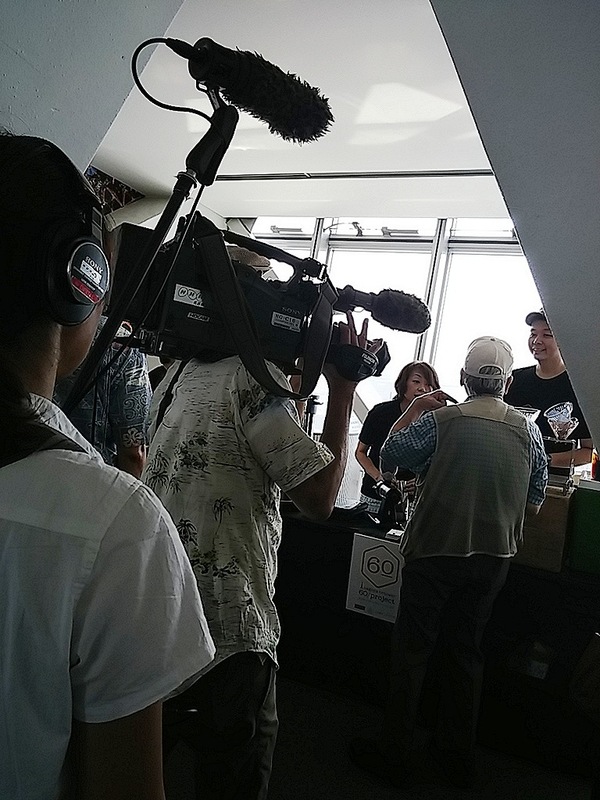 I was interested in those photos because I had taken a special lecture about concentration camps for Japanese Americans in the U.S. at Aichi Gakuin University, which had invited a professor from America for it. I looked at many illustrations drawn by a Japanese woman who had been in a concentration camp at that time. I thought the photos of the exhibition were milder than those drawings. Probably it was because the chosen photos had been focused on the vitality of incarcerated people, not on their hardship. The gallery is public. You can look at exhibits for free.